Valuation for Financial Reporting provides clear guidance toward transactions and fair value, in full alignment with the latest Financial Accounting Standards Board Accounting Standards Codification. Written by recognized valuation authorities, this useful guide provides preparers, auditors, and investors with detailed coverage of the latest accounting requirements, complete with interpretations and application advice. 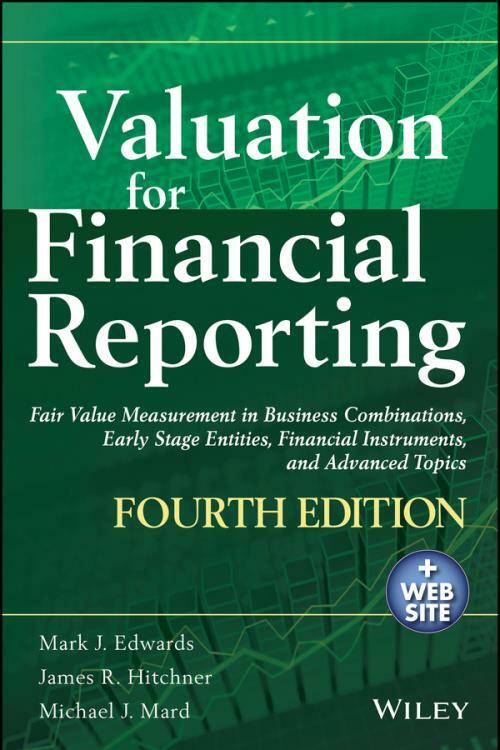 This updated fourth edition includes new information on fair value elements for early stage entities and financial instruments, and the companion website provides worksheets, flowcharts, checklists, and valuation models that help ease implementation. Readers will find complete information, clear explanation, and easy navigation, making this book suitable for both quick reference and deep study. Valuation practitioners need to understand and interpret accounting requirements on valuation for financial reporting for business combinations, early stage entities, and financial instruments, and apply these requirements according to specific facts and circumstances. Valuation for Financial Reporting presents complete guidance toward FASB ASC application, with clear interpretations and expert insight. FASB standards are always evolving, and practitioners must stay up to date. Clear explanations and logical organization make this guide a convenient desk reference, and the tools provided help streamline the often complex valuation process. When used alongside the robust companion website, Valuation for Financial Reporting is a one–stop resource for compliance with the latest valuation standards.